June 21, 2009 | Max The Mischievous Mutt. With thanks to my little sister who drawn the cats in the audience. 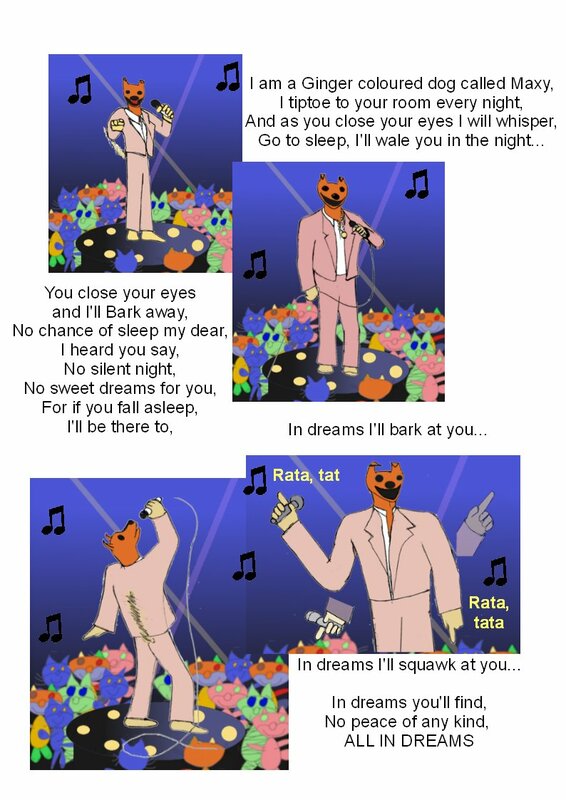 Max’s song is sung to the tune of Roy Orbisons, In Dreams.